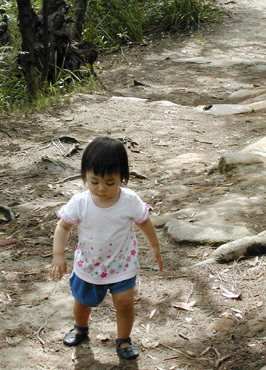 Your walking toddler needs to be allowed to practise walking as much as possible. Take him to playgrounds and parks, which allow him space to move. Provide large items for him to carry and move. Don't underestimate his capabilities - he will love to help carry the shopping in from the car or the washing basket to the washing machine and allowing him to do it increases his confidence with his body. Let him walk as often as you can. He has worked hard at developing this skill now he needs to use it. Once he can walk try to avoid putting him in a pushchair. Allowing him to walk instead helps to build his self-confidence. When you put him in a pushchair he feels like you don't trust him to do the very thing he has expended all this effort to accomplish. When he cries when you put him in a pushchair or a car seat it is because he is trying to tell you that he needs to be allowed to move and that this is vital to his development. The toddler's walk is not the same as the adult idea of walking. The toddler likes to look at and touch the things that catch his attention and this can make the walk take much longer than you might want it to do. 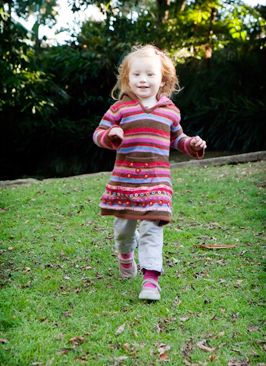 You will need to put your own busy agenda aside sometimes and participate in the toddler's walk from time to time. It will be much more fun than the adult walk! He will still take longer than you to get anywhere or do anything. Be patient and make sure that at least sometimes you make time in your day to do things at his pace.